This Saturday, 17 May 2014, join tens of thousands of other cyclists for the Space For Cycling Big Ride. 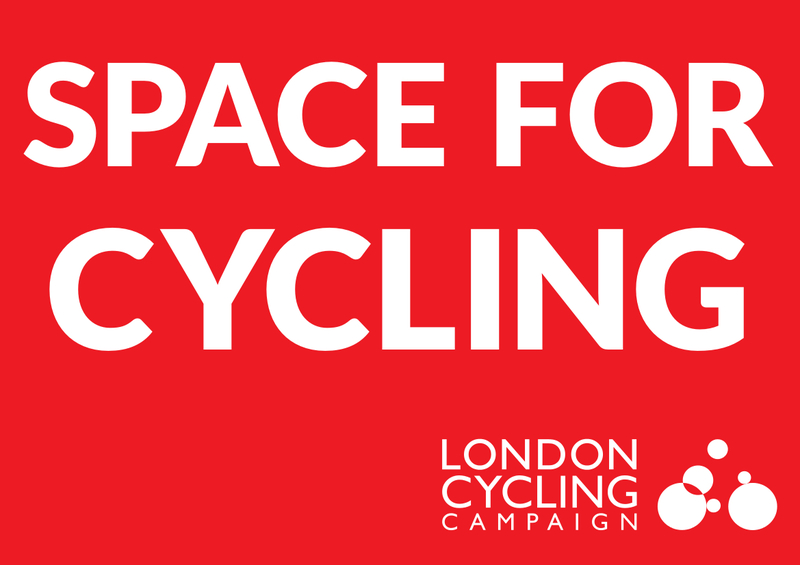 Scheduled just days before the London borough council elections this will be an opportunity to show politicians that cyclists matter and that we want our streets safe and inviting for everyone to cycle. 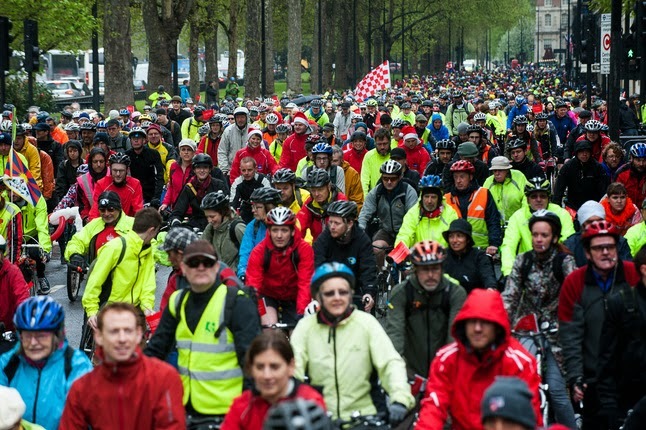 The ride will start at Park Lane at approximately 11am and run through a motor-traffic free central London. Lambeth Cyclists will be running a feeder ride, departing Streatham Hill and Clapham Common, up to the Big Ride. Join us at 9:45 for 10am departure on Drewstead Road, Streatham Hill, SW2 (behind Streatham Hill Station) or at 10:15 for 10:30 departure at the Bandstand on Clapham Common, SW4. There will also be a ride back to Lambeth at 2:15pm after the event leaving from Temple Place.